Do you remember songs from your past summers? 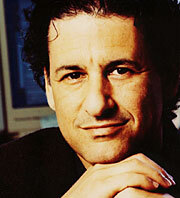 Dan Levitin is a psychologist and author of the book "This is Your Brain on Music" -- we asked Dan: How does a song actually get stuck in your head? Dan Levitin: From a memory standpoint, summer songs are special in that the way popular radio works is that they'll play, as you know, they'll play songs over and over and over again for a limited amount of time. And then when the song falls off the chart, they go to another one. And that's exactly what the brain needs for a memory cue. Desiree Cooper: But why is it for me that it's the songs when I was a teenager that still evokes something, even though I'm listening to the radio all the time. It's only those high school years that really do something to me. Levitin: Around the age of 15, there's this biological shift and your brain is no longer primarily concerned with making new connections. Instead, it tries to prune out all the unneeded ones and the architecture of your brain is changing. It certainly doesn't mean you don't learn anything after the age of 15, but learning takes on a fundamentally different quality. Add to that all the hormones that are going through a teenage body for the first time, and those hormones make everything that happens to you seem really important. And then all of that together creates this kind of "preferential memory tracer" of songs. Cooper: So Dan, what's the formula for a good summer song? Well you know, I think in general a song that's going to accompany outdoor activities is going to have a faster tempo. You're not going to have a slow lugubrious song in the heat summer, usually. There are exceptions, when I was a teenager Fifth Dimension had this song called "Stone Soul Picnic" -- remember that one? That was kind of slow, but it had a groove to it and it sort of felt like a hot day out by the picnic tables. Right, I think about humidity when I hear this song. You don't want to move too fast, you just want to lounge around, yeah. And when you where talking about tempo, I'm thinking about Gwen Stefani's "Holla Back Girl" from maybe about three or four years ago -- literally, it's a cheerleading song and they're clapping out the tempo of that whole song. They tend to have shorter rhythms, even though the tempo's fast the rhythms could be slow. But they tend to be sort of syncopated and more rhythmic. When I think about some summer songs, they are in my head and I don't want them to be. They are, you know, there're just like this loop that keeps going on and on and on. How long does it take a summer song to really get contagious, like to seep into your cranium even if you don't want it to be there? Well, it's different for everybody and it's different for every song. Sometimes a song will get stuck there after one listen and sometimes it takes 50 or 100. When a song does get stuck we call that an "ear worm" and scientists don't know that much about them. I mean, we know that it tends to be 15 or 20 seconds of the song that gets stuck, not the whole thing, and they tend to be relatively simple melodically and rhythmic. Most people aren't running around with Stravinsky in there. They are running around with, you know, like "Who Let the Dogs Out" -- rawf, rawf, rawf, rawf, rawf, right? Or YMCA. That one is in my head and I wish is wasn't. Now it's in mine. Thanks a lot. Well, Dan, thank you. This has been interesting. We will have to see what happens this summer. Summer to me is sitting in the back of my aunt's station wagon, sitting next to my cousins, on the way to swimming lessons and singing "Afternoon Delight" at the top of our lungs. We had no idea what the song was about, and I am sure my aunt liked it that way! "Rio" by Duran Duran. It was the song (not "Hungry Like the Wolf"), that cemented them as my favorite artist for most of my life. One of favorites, mostly for the memories it brings to mind, is "Baker Street" by Gerry Rafferty. I didn't know it then, but it was my last summer of childhood - I turned 16 that fall, got a job, took on all the responsibilities that come with being an adult. So, for me, this song is about the end of innocence. The singer, the song, my age at the time (26), living in Ft Lauderdale. It was the best at least until reality forced its way in, or tried.